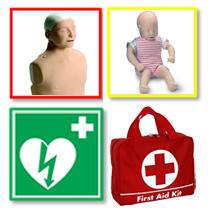 In this full classroom session learn to perform CPR for all ages, use an AED and help a choking person and deal with a life threatening emergency. In this blended learning and classroom session you will learn how to help an injured person (adult, child and infant). This course covers all the day to day injuries that you will probably need to deal with. It is an excellent course for basic skills development.